The winner of the annual Cozumel Aerial Photo Competition by Fly Cozumel, edition 2017 is Florent Serfati of Serfati Photography. His picture “Curves of Paradise” got 23% of the votes and the jury agreed with the voters. This year you took the best picture of Cozumel out of the Fly Cozumel airplane. Thank you Flo, Nadine, Chris and Guy for competing this year. It was a pleasure to fly you around Cozumel and to see your creativity. Flo, you won a dinner and night at Hotel Ventanas al Mar! Among the voters we have a winner as well: Liliana Razo; the winner of a Cozumel Island Tour by Airplane for two persons. Congratulations! In 2016, FlyCozumel organized, together with Cozumel4you, the first Annual Cozumel Aerial Photo Contest. We took four island photographers on our Island Tour by Airplane; all four submitted their best photos and Fred Boehm was chosen by the public as the winner. It’s 2017, and as promised, we did it again! Our Cozumel Island Tour by Airplane is a thrilling way to see our amazing island from a unique perspective you will not soon forget. Even seasoned island visitors can enjoy the different perspective of a day trip Airplane Tour. So during the week of Carnaval, we took out four creative photographers in our new Cessna 210. Forty-five minutes around the island by Airplane with Fly Cozumel. What a beauty! Cozumel island is beautiful to explore by land, and it’s amazing to discover what Cozumel has to offer from the water, however, Fly Cozumel guarantees that Cozumel seen from the air will exceed your highest expectations. What a beauty! Cozumel island is beautiful to explore by land, and it’s amazing to discover what Cozumel has to offer from the water, however, Fly Cozumel guarantees that Cozumel seen from the air will exceed your highest expectations. Cozumel island is beautiful to explore by land, and it’s amazing to discover what Cozumel has to offer from the water, however, Fly Cozumel guarantees that Cozumel seen from the air will exceed your highest expectations. 2. Your best picture of Hotel Ventanas al Mar. The jury (last year’s winner Fred Boehm (http://fineartamerica.com/profiles/fred-boehm.html ). Laura Wilkinson of Cozumel4You (http://cozumel4you.com) and Ricardo Pech of Ventanas al Mar (http://www.ventanasalmarcozumel.com)) agreed with the voters. “The most outstanding photo. Beauty. Naturalistic. Watching the beauty of Cozumel´s nature is easy, but capturing can be very challenging, especially when one has to do that out of an Airplane!”. “The most outstanding photo. Beauty. Naturalistic. Watching the beauty of Cozumel´s nature is easy, but capturing can be very challenging, especially when one has to do that out of an Airplane!”. Hotel Ventanas al Mar is the only oceanfront eco-friendly hotel to be found on Cozumel’s unspoiled, rugged East Coast. We flew over the hotel many times and never seen that the rock formed half of a heart. Nadine did. Kudos to you!!! Just wow! Check it out! Among the persons that voted (https://flycozumel.com/cozumel-aerial-photo-competition-2017/ ) we randomly selected one person that we will give a Cozumel Island Tour by Airplane for two persons for free. The winner of the Scenic Flight above Cozumel in our Cessna 210 is: Liliana Razo. Congratulations. 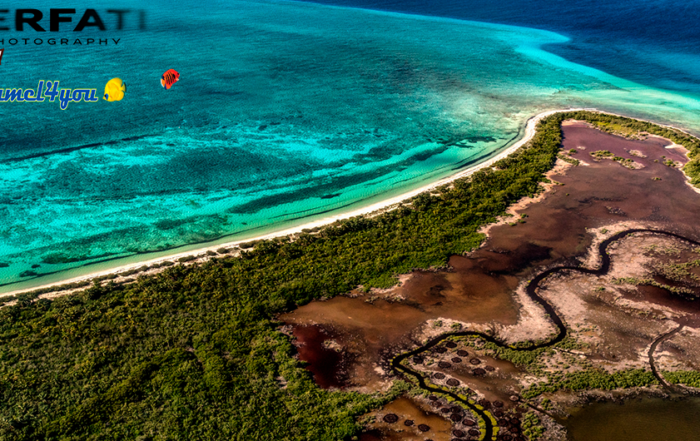 We have sent you an e-mail to plan your Scenic Flight above Cozumel. Thank you all that competed, voted, judged, and was involved. Thank you very much. See you again in 2018.